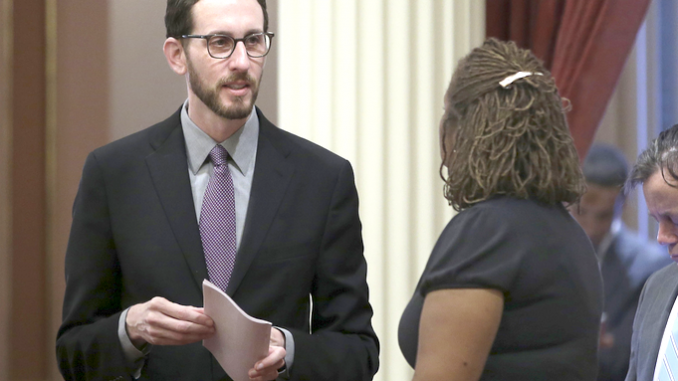 State Sen. Scott Wiener, D-San Francisco. AP file photo. City officials and neighborhood activists on the mid-Peninsula have been worried about Senate Bill 50, which would pre-empt local zoning to force cities to allow taller, denser housing near jobs and public transit. 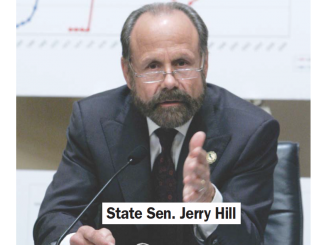 But at a state Senate Housing Committee hearing in Sacramento yesterday (April 2), it became clear that there’s another bill making headway, SB4, which would do many of the same things as SB50. 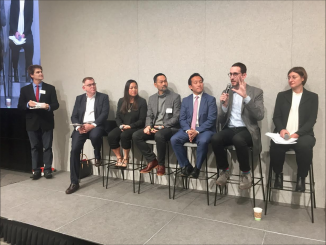 SB50, introduced by Sen. Scott Wiener, D-San Francisco, would allow taller, denser buildings with fewer parking spaces in jobs-rich areas like Palo Alto and anywhere in the state within a half-mile of a major transit stop. SB4, authored by senators Jim Beall, D-San Jose and Mark McGuire, D-Healdsburg, would apply some of the same principles. A new streamlined permit process would make it easier for developers to get permits to build residential quadplexes in cities with more than 50,000 residents, or to build duplexes in smaller cities. And similar to SB50, housing developers could get a density bonus in areas around train and ferry stations. Sen. John Moorlach, R-Costa Mesa, asked Wiener whether he would have to choose between SB4 and SB50. Wiener touted the coalition that had built around SB50, which spans business and labor, developers and environmentalists, Democrats and Republicans. Opponents of SB50 include the League of California Cities, a number of city governments including Redondo Beach and Beverly Hills and community groups who fear the bill would accelerate gentrification. A representative for the League of California Cities said the group agrees that there are not enough homes being built, but that SB50 undermines local zoning. Nothing prohibits a developer from requesting a zoning change from City Hall, the reasoning goes. Karen Klinger, a Sacramento real estate agent, also spoke out against SB50, stating that it would “destroy” her suburban neighborhood of single-family homes. Ever growing housing and jobs will continue to crowd and gridlock what was previously perfectly balanced and efficient. The concept that tall globs of housing within one mile of transit will encourage people to walk to and ride transit is an incorrect assumption. Read “Behind the Green Mask” by Rosa Kiore. Amazon has this paperback so do not delay reading it. Discover how our democracy is increasingly overuled by regional appointed government (e.g., ABAG) and transit AUTHORITIES! They call the shots, not the voters. We will want to analyze SB 4 and hope it is better than SB 50 which would empower developers to build 4-8 story condos and apartments nowhere near real mass transit. “Transit-rich” could just be a nearby frequent bus stop added at the behest of developers to one street and then the next. Or the “area” (city) may be deemed “job- rich” and subject to the new buildings based on the excuse. Use of these terms in SB 50 would effectively rezone most of the land in Bay Area cities. It could be that the only defense to SB 50’s assault on local land-use control will be Article 2, section 9 of the California Constitution. Since almost no one will bother to read that constitutional provision, I will just tell you: it creates and defines the power to suspend and vote down state legislation by immediate REFERENDUM petition. Step up or be trampled. See Article II, section 9 of the California Constitution. It includes the power of state voters to promptly challenge, suspend and later vote down state legislation by REFERENDUM. But are local leaders in cities (and counties) ready to launch a statewide referendum petition and campaign? Evidently not – yet. We will want to analyze SB 4 and hope it is not as bad as SB 50 which would empower developers to build 4-8 story condos and apartments nowhere near real mass transit. “Transit-rich” could just be a nearby frequent bus stop added at the behest of developers to one street and then the next. Or the “area” (city) may be deemed “job- rich” and subject to the new buildings based on the excuse. Use of these terms in SB 50 would effectively rezone most of the land in Bay Area cities. It could be that the only defense to SB 50’s assault on local land-use control will be Article 2, section 9 of the California Constitution. Since almost no one will bother to read that constitutional provision, I will just tell you: it creates and defines the power to suspend and vote down state legislation by immediate REFERENDUM petition. Step up or be trampled.